As part of Clean Toronto Together, the Downtown Yonge BIA (DYBIA) invites businesses and community members to take part in an annual spring clean-up of neighbourhood parks and laneways on Friday April 21, 2017. 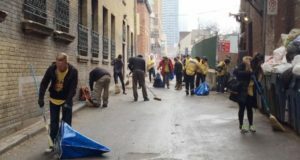 “Throughout the year, our Clean Streets Team is out cleaning the parks, streets and laneways of Downtown Yonge. Our spring clean-up day is a great way for the community to pitch in, clear away winter debris, and to get ready for the busy summer ahead,” says DYBIA executive director and COO Mark Garner. 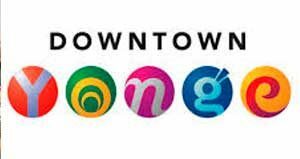 DYBIA will deploy teams of employees from local businesses and stakeholder organizations to different sections of Downtown Yonge. The 4th annual community clean-up day takes place on Friday April 21, 2017 from 7a.m. to 9a.m. throughout the Downtown Yonge neighbourhood.For more information, or to get involved, please contact Estuardo Ibarra at eibarra@downtownyonge.com or at (416) 597-0255 ext. 227. 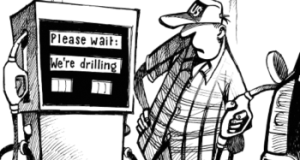 Previous: Emergency care wait: How long is too long? Next: Can $11 billion end homelessness in Canada?